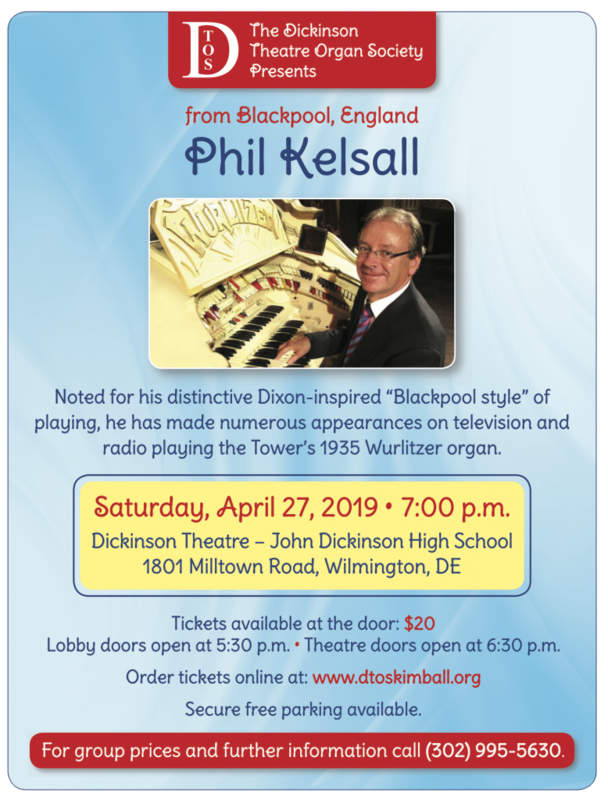 The Dickinson Theatre Organ Society enjoys a well-known reputation for presenting premier performances on an internationally acclaimed instrument – for over 40 years we have presented concerts by the finest theatre organists from the world over. DTOS has enhanced the Mighty Kimball Pipe Organ from the typical 1920’s movie theatre instrument into a complete “unit orchestra” capable of presenting the full palette of musical expression from Popular to Classical. It is presently the fourth largest theatre pipe organ in the world. Click here to learn more. Please click on the video below to see our special promo. Enjoy! Did you know that the Dickinson Kimball has two consoles? We have the three manual console that came with the nineteen rank organ built in 1928 for Philadelphia’s Boyd Theatre and a refurbished vintage Kimball console you see presently that has been updated with state-of-the art electronic controls to play the full 66 rank configuration of the present day organ. While the Boyd console was re-built many years ago with at the time “state-of the-art” controls, it is now undergoing a complete refurbishment so we can present two-console two-organist concerts again. Click here to read a recent report about this project from our dedicated volunteer organ crew. If you’re wondering why two consoles, while it was rare, in the 1920’s there were organs installed in theatres with such, not only for the “wow” factor of seeing two people play at the same time, but also for the musically extravagant performances that can result. Radio City Music Hall in New York City has such still in operation today with the largest Wurlitzer ever built for a theatre.